One of the 3D images created by lvl5's system. Andrew Kouri was a member of Tesla’s Autopilot team when the owner of a Model S sedan, Joshua Brown, died in a Florida crash in May 2016. Brown’s car had been in Autopilot, the vehicle’s semi-autonomous mode, at the time. Kouri didn’t take the incident lightly. After talking it over with a colleague, Erik Reed, they realized the crash could’ve been prevented if the car had been equipped with high-definition maps. This was the genesis for lvl5, a startup that went public this week by Kouri and Reed to focus on building maps for autonomous cars—something Kouri calls the “biggest challenge” that remains to bringing self-driving vehicles to the public. Most developers of autonomous vehicles are relying on LiDAR—a laser-based radar that creates 3D images that allows a self-driving car to “see.” But Kouri says the cost of LiDAR is prohibitive, and has prevented a more-rapid expansion of autonomous vehicles in the world. 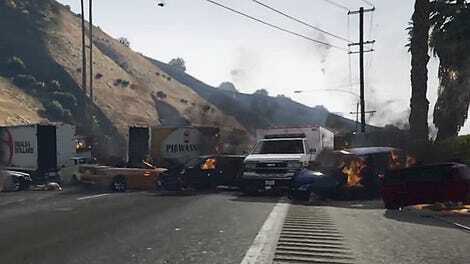 With the Brown incident, Kouri said, his Model S thought the underside of an oncoming truck was a bridge. If it had access to high-definition maps—maps that are constantly updated—the car would’ve realized there was indeed no bridge and hit the brakes, Kouri believes. Autonomous cars need to know everything: where there’s a construction zone and when it’s coming up; the location of every stop sign or traffic light; the location of intersections. Automakers build maps for testing purposes, but the issue of scaling across the U.S. remains a hurdle to overcome. Maps need to be updated frequently. If they aren’t, it’s easy to see where problems could arise: a robot car may be fine driving along the highway on a Monday, but if a construction project goes into effect that weekend, and its maps don’t reflect the change, a crash becomes almost inevitable. And Kouri says that no automakers racing to develop self-driving cars have the necessary maps yet in place to make a fully-autonomous car by 2021 even remotely feasible. So Lvl5 is taking a different approach instead of LiDAR: cameras—and you. It’s a heavy burden to send mapping cars around the U.S. like Google or Tesla. Kouri said they realized lvl5 could cover more of the U.S. sooner if it turned to crowdsourcing. In three months, lvl5 said it has mapped out 90 percent of U.S. highways. 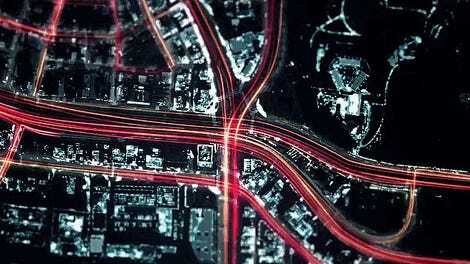 Once the footage is received, the company has a computer vision algorithm that translates GPS data and the images into HD maps. The startup says the maps are accurate to a 10cm threshold. “We fuse all that data together, and once we get a certain amount of passes on that road, we can start making maps on that road,” Kouri said. 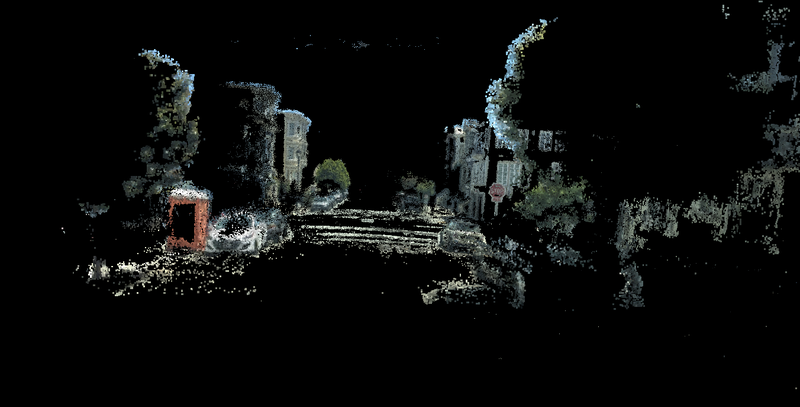 Some autonomous tech developers believe they’re on the verge of a LiDAR breakthrough, however. Google, earlier this year, said it cut LiDAR costs by 90 percent, and a startup called Quanergy says it should have a $250 solid-state LiDAR on the market later this year. One of the leading manufacturers of LiDAR said demand is so high right now that it’s causing shortages across the industry, according to the tech publication The Information. That’s why lvl5—also led by a former developer of iRobot’s Roomba—thinks it can solve the issue through crowdsourcing the data. “This is literally the only way that self driving car maps can feasibly be made,” he said. The startup raised $2 million in seed funding to launch, and hopes to hire 100 employees by the end of next year. Tesla uses a similar method, so I asked why Kouri and Reed decided to leave the automaker, just months before the more-affordable Model 3 sedan was set to go into production and—Tesla hopes—attract a wide-swath of everyday car buyers. The answer, Kouri said, was simple. The obvious question is whether automakers are paying attention, or if lvl5 can attract enough drivers to bring the mapping project to the entire U.S. The startup has pilot projects underway with a few automakers that Kouri declined to reveal, citing nondisclosure agreements. Kouri thinks automakers will fall behind Tesla in perpetuity if they fail to recognize the need for HD maps.